This KB article provides information on how you can search your repositories in more specific than using search axes. On a browser, go to the URL of your Kiln account. At the top, on the search bar, you may type in the search option. It will now display the “Search Option”. Click on it. 5. 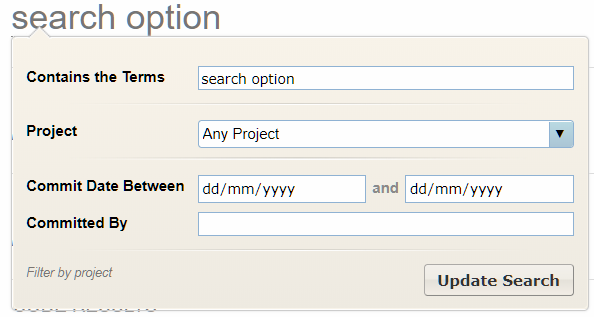 You may now search for the repository under a project, then click Update Search.